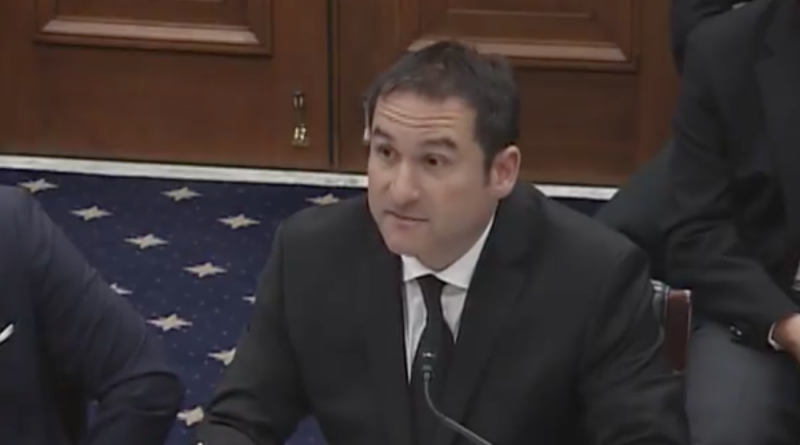 Ara Bagdasarian, co-founder and CEO of Omnilert, shared his insight into community support for entrepreneurs in front of a Congressional committee last week. A Leesburg-based CEO shared his insight into community support for entrepreneurs in front of a Congressional committee last week. Ara Bagdasarian, co-founder and CEO of Omnilert, and co-author of The Lemonade Stand book, testified on behalf of America’s Small Business Development Centers at the April 12 meeting of the Committee on Small Business Subcommittee on Investigations, Oversight, and Regulations. Bagdasarian pointed to his background as a “serial entrepreneur” who founded his first enterprise before the age of 10. Despite his experience as a company founder and longtime chairman of Leesburg’s Economic Development Commission, Bagdasarian admitted he was “stumped” when he was asked to participate in a town marketing campaign a decade ago and share his thoughts on why Leesburg was a good destination for entrepreneurs. “I could not think of a single reason other than the fact that our town was a quaint, idyllic community. We had all the standard small business resources—SBDC, SCORE, and a Chamber of Commerce—however, we did not have a community that was systematically supportive of local entrepreneurs,” he said. That realization was an epiphany for Bagdasarian, and he began an effort to start building the infrastructure for an “entrepreneurship ecosystem.” Just as a community builds infrastructure for roads and utilities, so must it do so for entrepreneurs, he said. He cited examples from what has been done in Loudoun County, from providing opportunities for entrepreneurship education; offering resources to support the planning, creation, launch and operations of a new venture; and programs that allow entrepreneurs to connect with community members and discover synergies. In the written testimony provided to Congress, Bagdasarian specifically points out the Step Up Loudoun competition by Loudoun Youth; the Chamber’s Young Entrepreneurs Academy initiative; and the weekly 1 Million Cups meetings at the Mason Enterprise Center, among others.